Our teaching methods are hands on, on the water, with fewer students than most other schools. We never have more than three students per instructor in our Intro, Basic Keelboat, or Basic Cruising classes. We know your time is valuable. 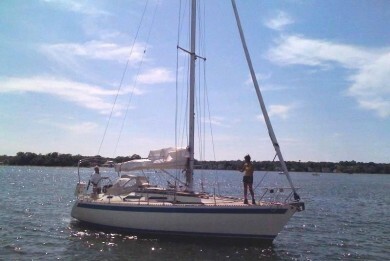 Our boats and teaching methods are uniquely designed so as to allow you to sail single-handed after taking Basic Keelboat, which helps you gain confidence quickly. 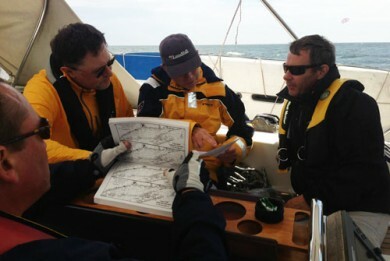 We strongly encourage new sailors to become competent with day-sailers, before moving on to larger boats. 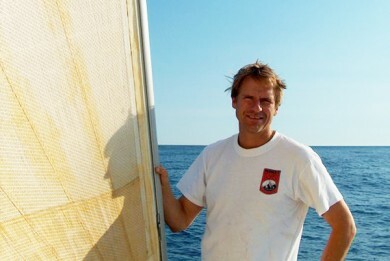 Small boat experience is the fastest and best way to become a competent sailor. 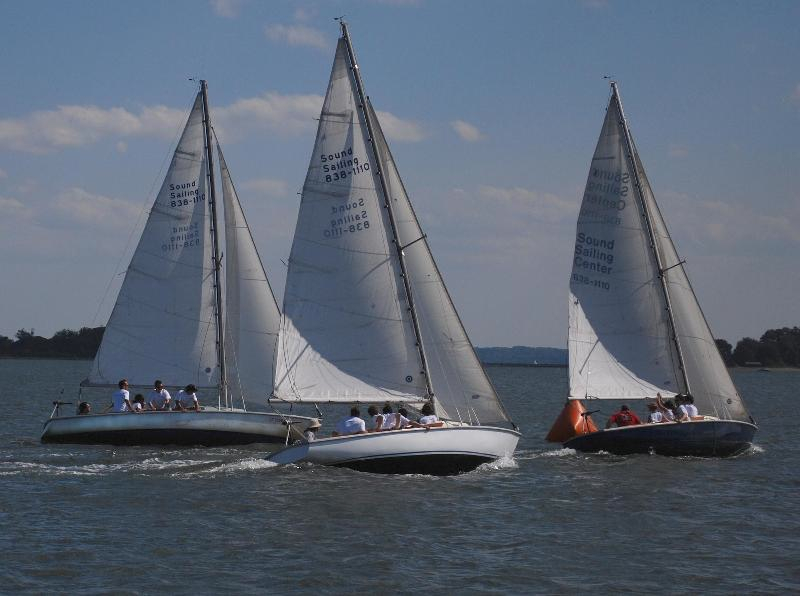 Although many schools promote a package program that has you sailing larger boats in a week, you will be a better sailor and enjoy sailing more if you practice with day-sailers. Rentals and Charters: Our fleet is diverse, ranging from classic boats like the Ensigns, to our flagship, Hanse 400. In general, we look for good sailing qualities and strong construction. We buy boats we like! Naturally, every mainsail in our fleet has a Dutchman Sail Flaking System, along with other gear like roller furling jibs that allows you to get out sailing in a few minutes, even if single-handed. Ensigns have electric motors, so even starting the engine is simple. Charters are multi-day rentals, for taking extended trips on our larger boats. 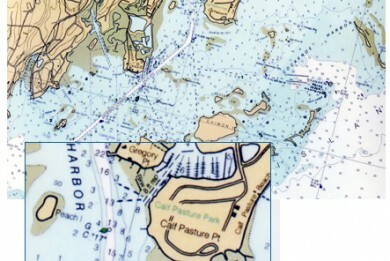 Rentals and Charters are available if a boat does not have full membership. If you will be taking out our boats less than 4 times a year, rentals or charters are the way to go. Sound Sailing Center handles all the maintenance. Unlike other membership, timeshare, or fractional use programs, we offer far more flexibility combined with expert, on site staff, in a diverse fleet from our 2006 Hanse 400, to our affordable and fun Ensigns. Members can use any boat in our fleet smaller than the one they have signed up for. With multiple locations, including one Pearson 37 located in Mystic, CT.
For many, the dream of owning your own yacht has a powerful pull. We can help make this a reality, through our brokerage or new yacht sales division. With over 25 years of yacht sales and service experience, we can offer expert advice. If you are after a used or brokerage yacht, we will start off with a broad variety of vessels that should be of interest, then refine the search as your preferences become clear. We also will do a mini survey and bring along our moisture meter, so as to rule out obvious problem boats before you spend $20+ per foot on a survey. We’ll work with you to establish a reasonable offer, locate the best surveyor, and be there for all the many questions you’ll have. Since the commission is shared between the listing and selling broker, you will not pay extra for our superb service. Sound Sailing Center is pleased to be part of the Southern New England Yacht Dealers Association, who have joined together to offer a unique boat show where you can not only view a variety of boats, but also go for a test sail. Email Martin at dutchman_mvb@hotmail.com or call 203.981.3590 for more info. ONE WEEK SESSIONS starting June 10 thru August 23. Ages 6-13. Discounts: Two or more children per family gets 5% off second child. Sign up for more than a week, get 5% off for second plus weeks. 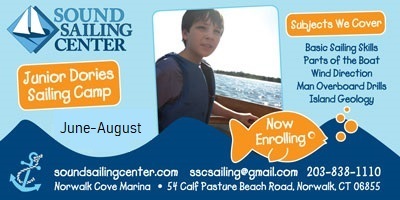 Call 203-838-1110 to enroll your child now.